In my last post I considered the background to the ‘secret’ special meeting of the Crofting Commission that was to be held in Inverness this morning. It had been requested by the Convener of the Crofting Commission, Colin Kennedy, purportedly to seek to overturn the decisions taken after he walked out of the Brora meeting. Mr Kennedy has maintained in statements to the media that the Brora meeting was ultra vires (illegal). It is assumed that he was to argue this at the special meeting called by him this morning even although I pointed out yesterday that it would be a clear conflict of interest for him to participate in any decision making process in this regard. 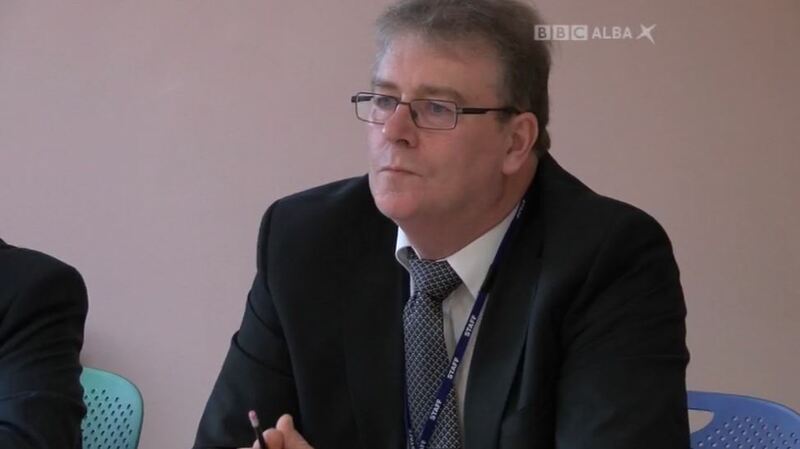 It was reported by the BBC that at the start of the meeting commissioner David Campbell (West Highlands) made a motion for the meeting to be held in public for the purposes of natural justice, accountability and transparency to the ordinary crofter. However, none of the other commissioners in the room (who are all crofters) were willing to second this motion. Thus the meeting proceeded in secret and out of honourable principle Mr Campbell departed the meeting at the same time as the press and public were excluded. Commissioner Murdo Maclennan (Western Isles) did not attend the meeting. It was reported by the BBC that this was due to a threat of legal action against the Commission/Commissioners by the Convener. 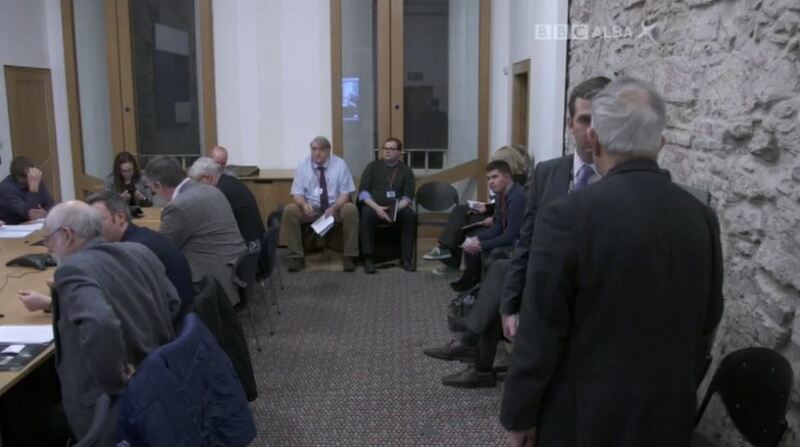 However, at the end of the day (after a 6 hour meeting) the Convener didn’t appear to get his way. The Commissioners present reaffirmed the importance of working together effectively in the final months of their terms. The Board also discussed the status of the meeting held in Brora in September and how to move forward. The Board decided that there was one meeting in Brora which took place in two valid parts, the meeting previously referred to as a special meeting being a continuation of the scheduled Board meeting. Any consequences from this will be considered at their Board meeting on Wednesday 14 December 2016. So six hours to decide that the two meetings in Brora (one with the Convener present and one without him after he walked out) were in fact one meeting held in two parts. 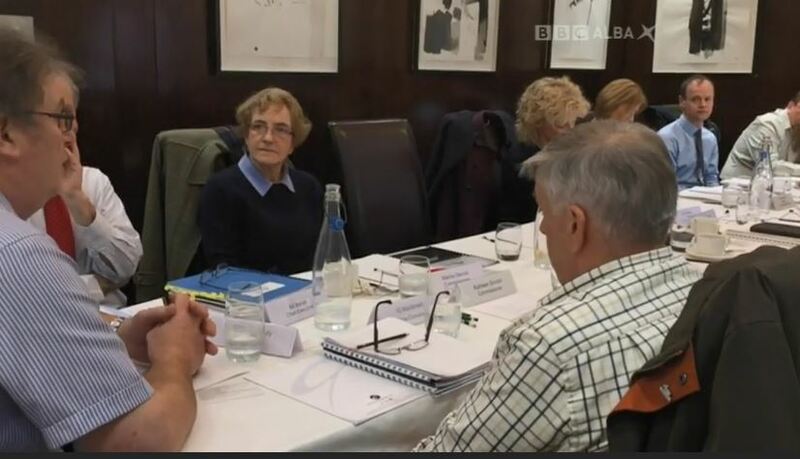 It is assumed that legal advice had been sought on this (the Commission’s lawyer was evident in the film of the meeting shown on BBC Alba tonight) and that such advice conflicted with the Convener’s own interpretation which may well have been ingenious but flawed. So there we have it: The Convener’s publicly stated position on the Brora meeting has been wrong from the outset. But will he now accept that? Once a decision has been reached, all members have a corporate responsibility to recognise and accept the decision as that of the Crofting Commission. Corporate responsibility entails that members must adhere to and accept such a decision until it is otherwise altered. We will no doubt find out on Wednesday! This entry was posted in Crofting Commission and tagged Arnold Pirie, BBC, BBC Alba, Bill Barron, Brora, cabal, Colin Kennedy, Convener, Convener of Crofting Commission, corporate responsibility, crofting cabal, Crofting Commission, Crofting Commissioner, Crofting Commissioners, David Campbell, exclusion of press and public, I. G. MacDonald, Interim Chief Executive of the Crofting Commission, Inverness, Kathleen Sinclair, Marina Dennis, secret meeting, Special Meeting, ultra vires on December 10, 2016 by Brian Inkster. 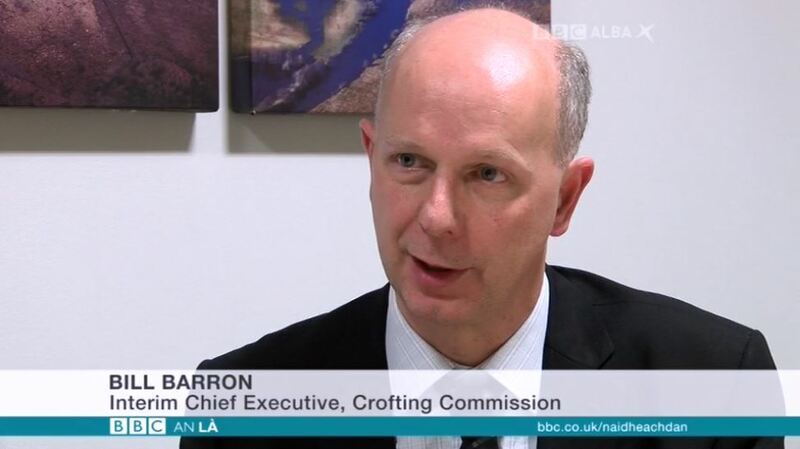 Is there a cabal within the Crofting Commission? 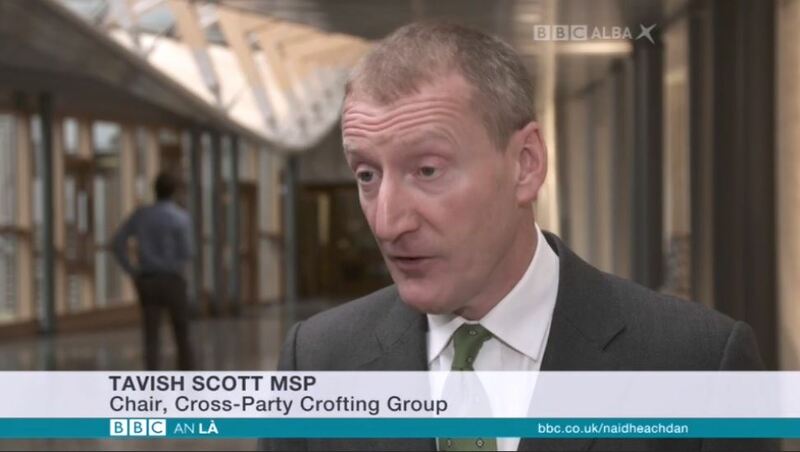 It was revealed by the BBC yesterday morning that Colin Kennedy, Convener of the Crofting Commission, has requested a special meeting of the Crofting Commission to take place this coming Friday, 9 December 2016 (i.e. tomorrow). The meeting is apparently to be held in private and concerns consideration of the decisions taken by the Commission at Brora after the Convener walked out of the scheduled Board meeting and a special meeting had to be called to enable Commission business to be transacted. It is not clear but has been suggested that Colin Kennedy may be seeking to cancel or reverse the decisions taken by the Crofting Commission at Brora. He has previously stated his personal view that this meeting was ultra vires (illegal) . 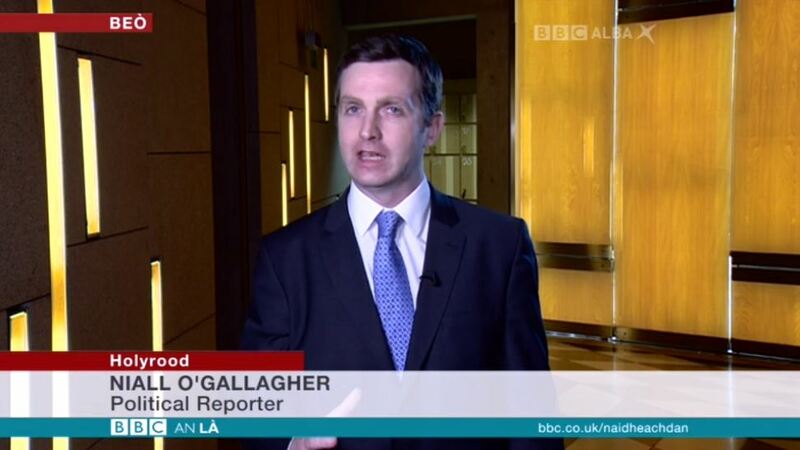 I was asked by BBC Alba to comment on this development and did so in an interview that was broadcast on An Lá yesterday evening. 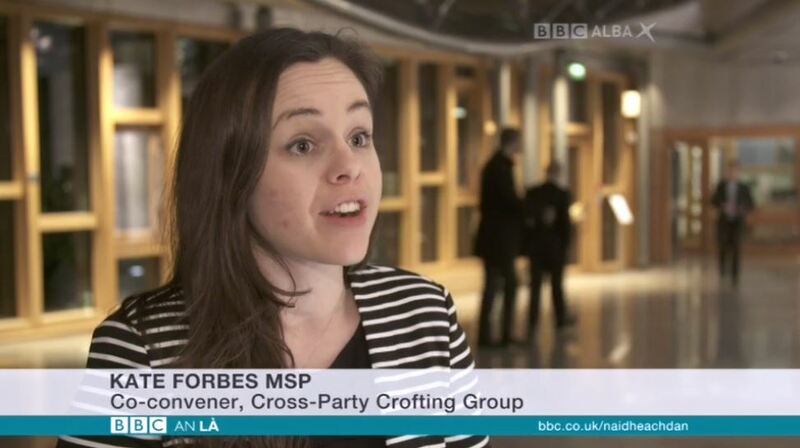 This blog post will cover and expand upon the points I made to BBC Alba. In terms of the Standing Orders that govern the conduct of Crofting Commission meetings [PDF] the Convener has the right to call a special meeting. 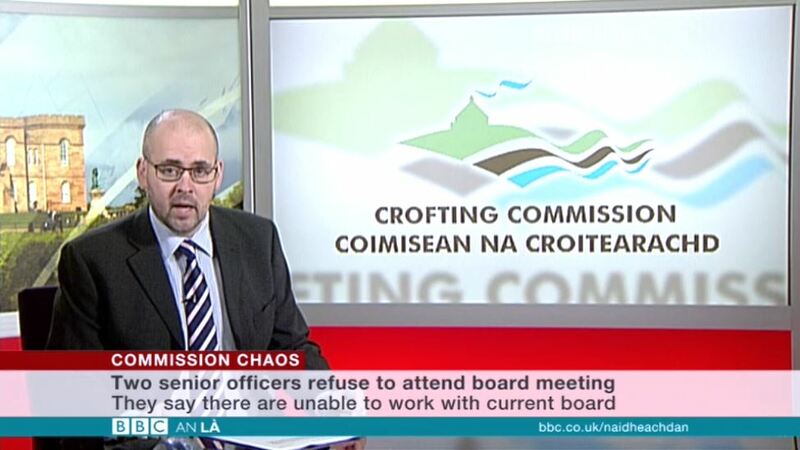 Again in terms of the Standing Orders public notice of a meeting of the Commission will normally be given by posting a Notice on the Crofting Commission website at least 4 days before the meeting. However, public notice is not required where a special meeting is convened to deal with a matter of a particular sensitive nature. When the BBC revealed yesterday that this meeting was to be held on Friday no public notice had been given and there was less than 4 days to go before the meeting was to take place. Did this mean that a matter of a particular sensitive nature was to be dealt with on Friday? If so it must have been decided by the Board that the matter was of a particular sensitive nature as the Convener alone cannot decide that in terms of the Standing Orders. However, at some point yesterday (after the BBC revealed what the Convener was up to) a public notice appeared on the Commission’s website intimating that a special meeting was taking place at 10am on Friday 9 December 2016 at the Glenmoriston Hotel, Inverness. Presumably that meant that the matter to be discussed on Friday was not actually of a particular sensitive nature or that Board approval to it so being had either not been sought or had not been given. Having said that item number 3 of the Agenda [PDF] is the “exclusion of press and public”. So the meeting may still be held in private if the commissioners decide that is appropriate on Friday. Interestingly that Agenda does not tell us what the business to be discussed is other than simply stating “Business that requires special urgency“. Should the meeting be held in private? Members of the press and public are entitled to attend meetings of the Commission. However, the Commission may determine that matters of a confidential or sensitive nature should be considered without the press or the public in attendance. If the special meeting is indeed being convened to discuss the legality of the Brora meeting then as that meeting was held in public surely this one should be too? It is already a matter that is in the public domain and one that Colin Kennedy has been outspoken about publicly in the media. It is surely therefore in the public interest that any debate covering it should be held in public and not in secret. There appears, on the face of it, to be nothing confidential being discussed and the only sensitivities involved are those that may affect the Convener himself. Therefore there appears no good reason for the Commission to exclude the press or the public from tomorrow’s meeting. A member of the Commission, or any officer working on behalf of the Commission, who has a direct or indirect interest in a matter being considered at a meeting of the Commission or a committee of the Commission, must disclose the nature of the interest to the meeting. Any attempt to reverse the decision of the Brora special meeting is a matter that the Convener clearly has a direct interest in. Thus he would have to declare that interest and not take part in the meeting. Indeed, on that basis, it is questionable whether a special meeting could be called by the Convener where he is conflicted in the subject matter at hand. Any failure by the Convener to declare an interest tomorrow will surely be questionable in the extreme. Can the decisions made at the Brora meeting be reversed? During the Common Grazings crisis the line peddled continually by the Commission, and supported by the Convener, was that decisions taken by the Commission cannot be altered once made and the only recourse that anyone has to do so is through the courts. Thus if this is the case should he not, if he considers he has a legitimate right to do so, personally be pursuing matters through the courts rather than via secretly convened meetings? It has not, however, stopped the Commission from rewriting its history before now. I trust that the interim Chief Executive of the Crofting Commission, Bill Barron, will have chapter and verse on this area from the Commission’s legal advisers to present to commissioners before the meeting commences tomorrow. Does the Convener have support from fellow commissioners? It has been mooted for some time that there was a divided board with some members under the spell of the Convener and others less enchanted by him. The weight possibly swung in the Convener’s favour following the resignations of Susan Walker and William Swann. However, in his absence at the special meeting in Brora there was a unified front from all the commissioners that his behaviour warranted a call for him to resign. Perhaps the former cabal (as some have called it) has been reformed and is prepared to do the Convener’s bidding on Friday regardless of the legalities, morals and ethics that may be involved. 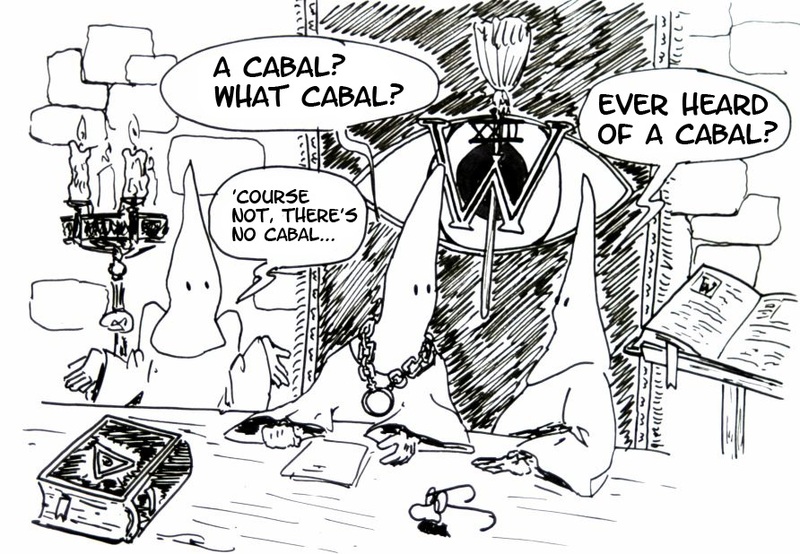 The identity of the members of that cabal may also become clearer depending on how things pan out tomorrow. It has also been questioned whether it is in the public interest for a special meeting to be called just three working days before a scheduled board meeting. Surely any matter arising could be dealt with as an additional agenda item next Wednesday? 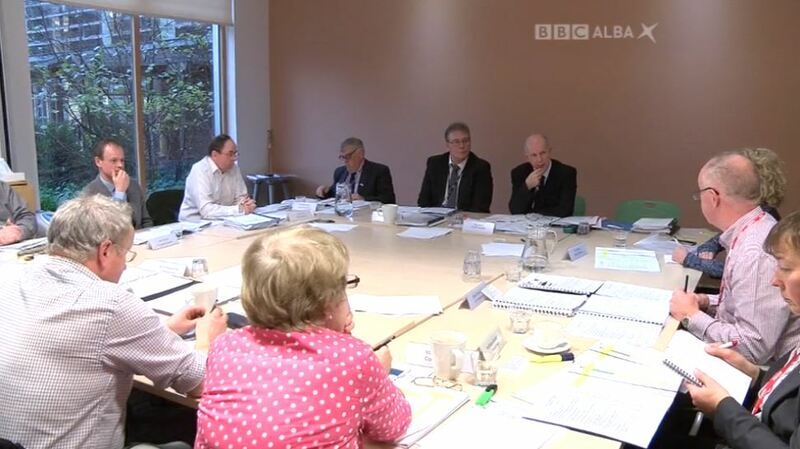 Think of the cost of commissioners travelling to Inverness from as far afield as Shetland, Orkney, Lewis, Skye and Coll twice in one week for two meetings that could have easily been dealt with as one. Presumably officials based in Edinburgh will be doing the same. It should also be noted that when several commissioners could not apparently attend the last scheduled Board meeting it was postponed and a new date was “being arranged” and was to “be notified as soon as possible“. No such new date was ever arranged. But it seems that whilst the Commission could not arrange a new date for a major Board meeting they have no problem doing so for a questionable special meeting. Odd that. As a result of the last Board meeting not taking place the minutes of the Brora meeting have yet to be approved. That is scheduled to happen at the next Board meeting next Wednesday. Can a special meeting take place tomorrow to consider a meeting the minutes of which have yet to be approved? Surely any such meeting, if even competent, should happen only after and not before approval of the minutes? It is also somewhat ironic that the legality of a special meeting is being called into question by a special meeting being convened that, unlike the Brora one, is highly questionable in itself. The governance of the Crofting Commission is currently under review by the Scottish Government. Antics such as these can only add fuel to the fire. 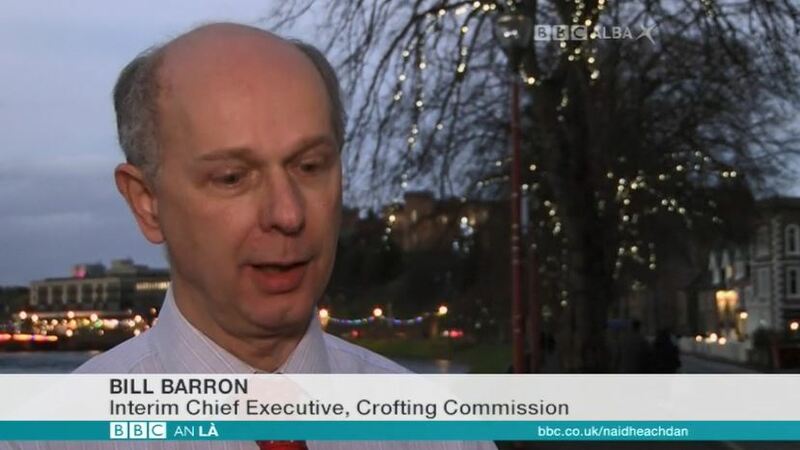 This entry was posted in Crofting Commission and tagged An La, BBC, BBC Alba, Bill Barron, Brora, Colin Kennedy, Convener of Crofting Commission, Crofting Commission, Crofting Commission Board, Crofting Commissioners, declaration of interest, exclusion of press and public, Glenmoriston Hotel, Interim Chief Executive of the Crofting Commission, particular sensitive nature, private meeting, public notice, public purse, Scottish Government, secret meeting, Special Meeting, standing orders on December 8, 2016 by Brian Inkster.